Green Bay South West High School found inspiration for their 2015 pom uniform in a Nike shoe! 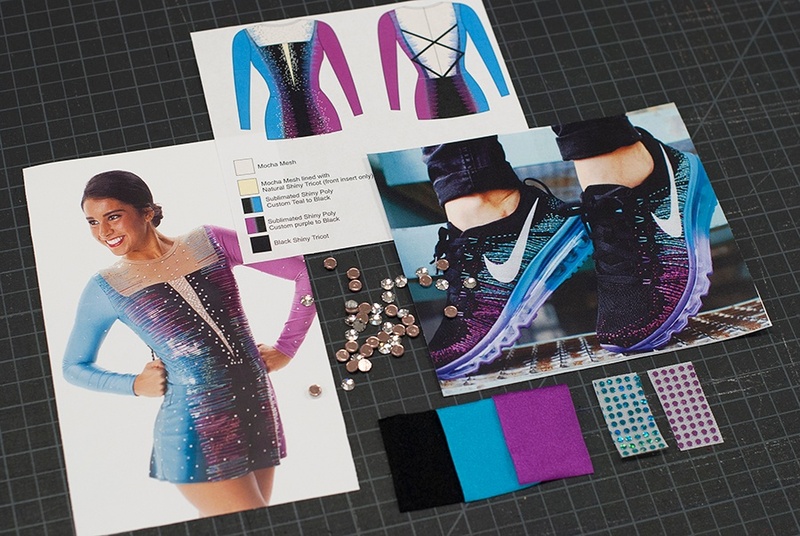 Inspiration for your next dance costume can come from anywhere: the runway, your Instagram feed, a sneaker, or that gorgeous peach that's sitting on your desk. Sometimes it can feel overwhelming to narrow down your focus, and create a performance concept that is unique from your competitors. 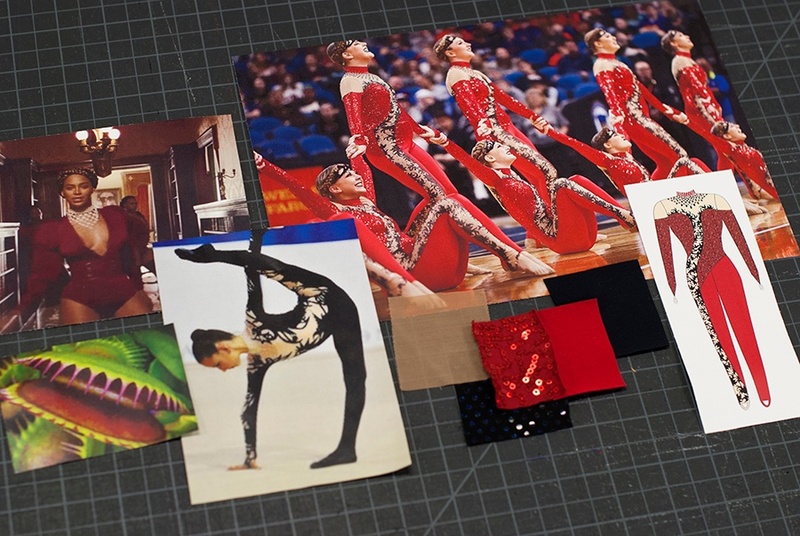 To help, we've rounded up some of our favorite resources for finding dance costume inspiration, as well as some tips to get it all organized! 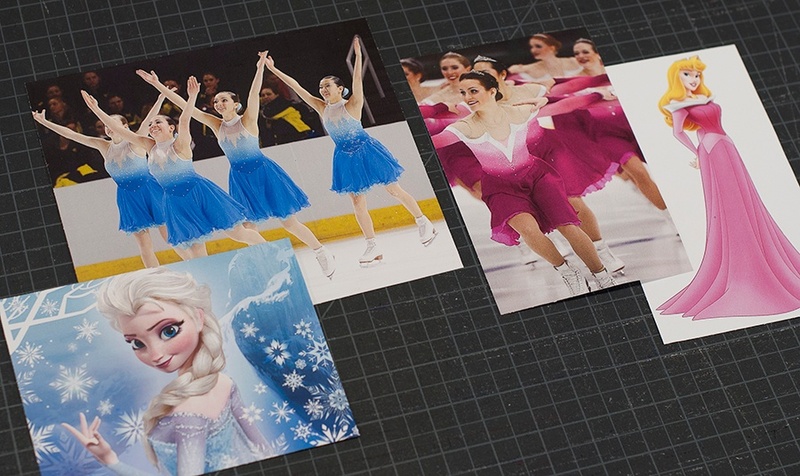 Team Delaware's Frozen theme, and Fond du Lac Blades's Sleeping Beauty theme. 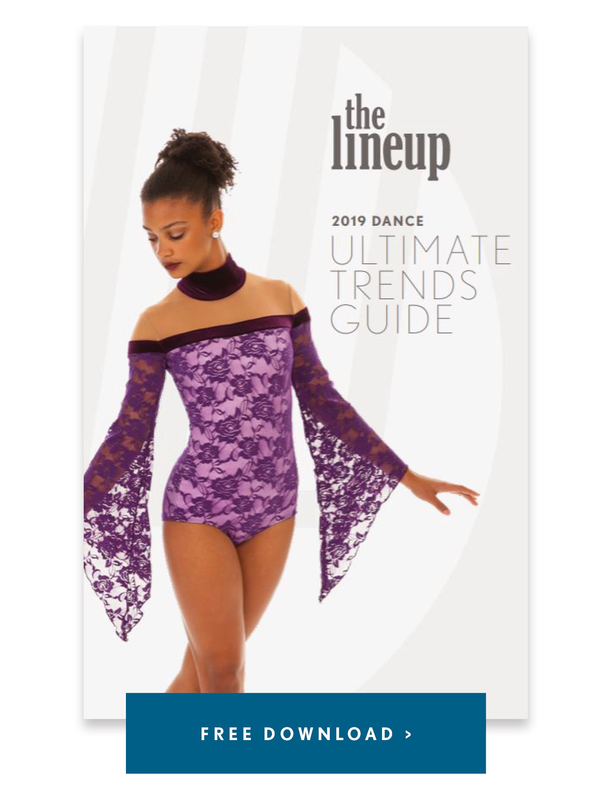 Totino Grace High School's "Poison Ivy" theme dance costume pulled inspiration from Beyonce's necklace in her Formation video, as well as design elements from a rhythmic gymnast's costume. Color inspiration can come from anywhere! If you see an appealing photo - from a landscape to a floral arrangement to a shoe - you can use this as inspiration for a color palette. There are some great automated tools online, like the Color Palette Tool, that make creating color combinations easy. Simply upload a photo and it will generate a color palette for you and your costume designers to work off! 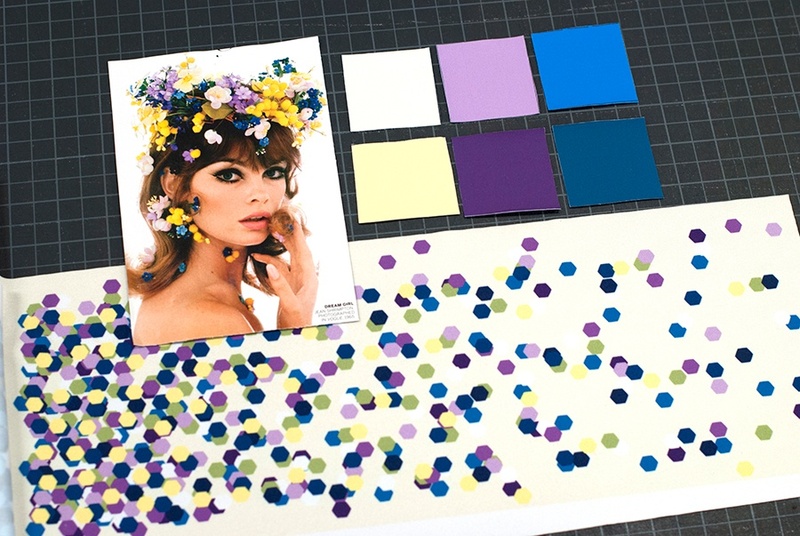 The color palette for this Confetti Skirt design was inspired by a vintage photo found in Vogue Magazine. Not only is Instagram full of impressive dancers, it's full of impressive dancers wearing gorgeous costumes! We also follow a few fashion designers here at The Line Up to inspire us for new styles. Tips for Bringing Your Ideas to Life! 1. 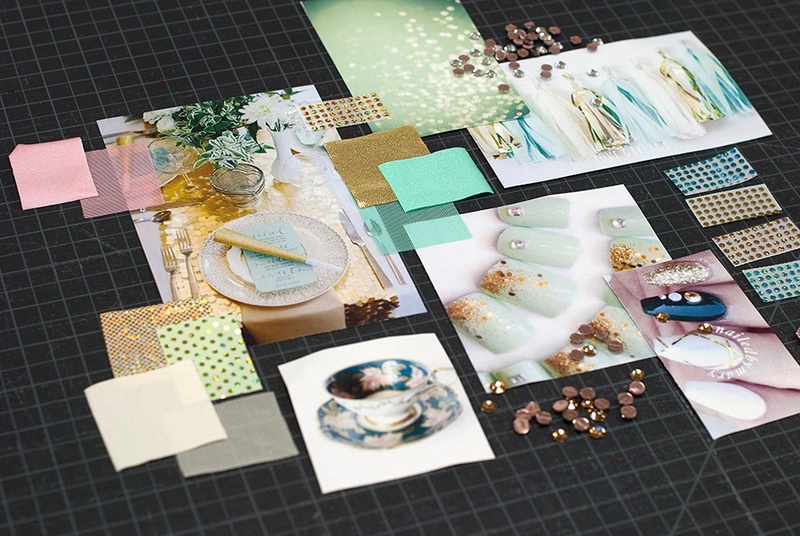 Create a mood board to organize your thoughts and inspiration ideas in one place, and make notes about what you like about each. Include costume inspiration, color palettes, fabrics, and mood images all in one place, like the example above! This is incredibly helpful to create a focused look, convey your ideas to your designer, as well as get organized. 2. Narrow down the number of inspiration images to 3-5. 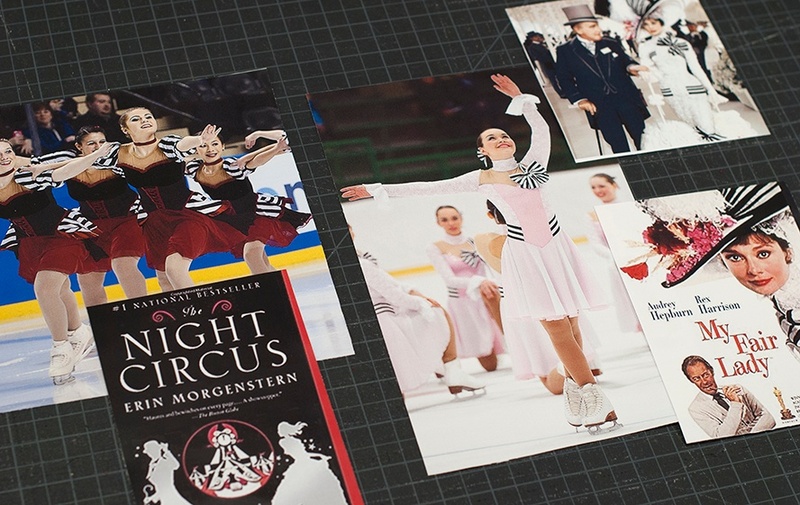 While a mood board is helpful, too many images can cause confusion and create a lack of focus. Pick a select few of your favorites, and go from there! 3. You can use elements of an inspiration image, even if you don't like the overall look. For example, if you like the neckline of garment, but don't like fabric used, make a note of this for your designer. It's fun to combine different pieces of several garments. It is important to keep in mind that your designer will likely want to know what you DON'T like about an image, in addition to what you DO like. 4. Try not to copy another teams costumes, but instead, focus on what specific elements you like. For example, "I love the feminine flowy skirt this team wore", or "I love the edginess of this biketard and the strong shoulders" Your designers should be able to go from there and help pull together something that fits the mood you've defined. 5. Use Quality Photos so your designer can get a better look. If an image is too pixelated or small, the designers might have trouble pinpointing the details or how what it is you like about the garment. A picture is the best way to ensure everyone is on the same page!